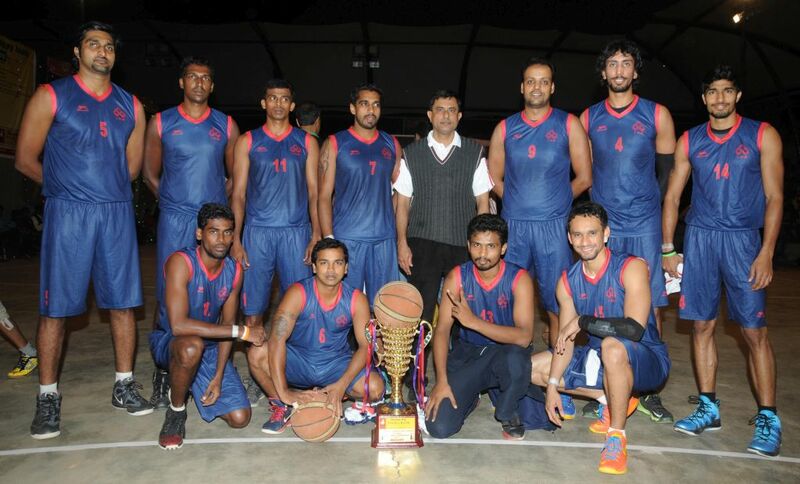 The 1st Mulki Sunder Ram Shetty Vijaya Bank All India Basketball tournament for Men concluded last evening at the Bharath Sports Union Courts, Malleshwaram in Bengaluru. After trailing 12-16 at the end of the first quarter, Indian Overseas Bank’s (IOB) current international trio of Pratham Singh, Amjyot Singh and Prasanna Venkatesh stepped up their performances on both ends of the floor to take them to a relatively comfortable 63-49 win. Prasanna won the MVP award for his efforts. 1. Vijaya Bank 89 (Anil 26, Arvind 24) bt Karnataka State 75 (Visu 24, Clinton 11) HT 43-34. 1. IOB 2. ONGC 3. Vijaya Bank. 4. Karnataka State team.